Sahra stumbled along the grey winter streets of Belfast with two young children in tow. The glacial air nipped at her children’s teary faces. As the wind gusted stronger, she decided that the mosque was the only answer to her homelessness. She entered and her children slept as she prayed for a way out of destitution. Sahra is from the Sudan and came to seek asylum in Northern Ireland. She escaped conflict, intolerance and suffering in her home country. With her young family, she crossed unfriendly terrain, violent borders, and dangerous seas to try to find a place of sanctuary and safety. She left a country riven by conflict because she wanted her children to grow up in safety and security. She told us that when she got refugee status "I go to housing, no house, me I am very crying. Yeah, a lot of crying for long months, very depression (…) I'm very crying. I leave my country, I'm coming here, here is not house, I'm crying, I'm two daughters, where are we going and they sleep in the street, sleeping in the mosque for my prayer at the mosque". 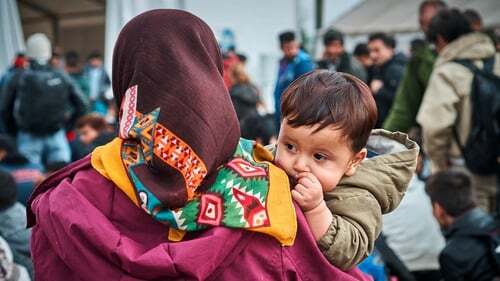 A recent research report sheds light on the everyday challenges of asylum seekers and refugees in Northern Ireland, who often face homelessness, poverty and discrimination after reaching supposed safety. Commissioned by the Racial Equality Unit in the Northern Ireland Executive Office, the report follows the everyday life experiences of people like Sahra with a view to considering the development of a refugee integration strategy. The report makes a broad range of recommendations on bettering the pathways to integration for in Northern Ireland. Sahra is now a long-time refugee and has resided in Northern Ireland for over five years. Asylum seekers and refugees are two distinct legal categories with separate sets of rights. Asylum seekers only have a temporary right to remain in a country until they are granted refugee status. As an asylum seeker in Northern Ireland, Sahra had 28 days (as do all refugees in the UK) to transition out of the specially appointed asylum seeker accommodation upon the granting of her refugee status. Due to a combination of bureaucratic miscommunications and a lack of support, Sahra and her two children fell destitute. Alone and on the streets, she felt as if she was chasing the seemingly mythical promise of refuge. Northern Ireland currently does not have a refugee integration strategy and it is one of the few remaining jurisdictions in the UK without one. Relatively new to hosting asylum seekers and refugees, Northern Ireland’s complex history and status combine to make the governance of migration a sometimes challenging one. Immigration laws come from Westminster and Northern Ireland has responsibility for integration strategies and policies. Statistics of who and how many people are seeking asylum in Northern Ireland are difficult to ascertain, as it is UK Home Office policy to conflate these details with Scotland. The report highlights the urgent need to develop and implement a refugee integration strategy and an overarching organization akin to a refugee council in order to better the lives of people like Sahra, many of whom experience destitution and homelessness on their journey to becoming a refugee and citizen in Northern Ireland. 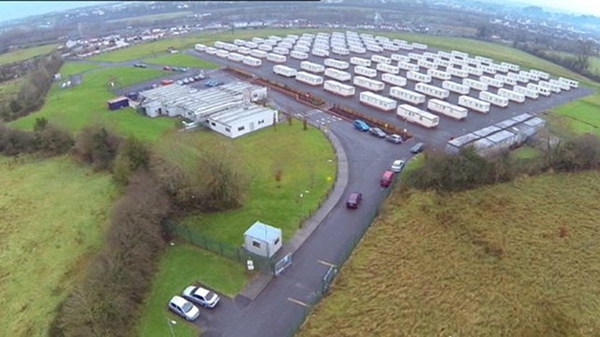 Unlike the Republic of Ireland, asylum seekers in Northern Ireland are housed in independent housing or hostels as opposed to a system of detention such as direct provision, but destitution and homelessness levels are a growing issue. In a world where media discourse on refugees lacks complexity and asylum seekers and refugee experience is conveyed through simplistic, often stereotyped images, this report gives direct voice to asylum seekers and refugees from 10 different countries. Asylum seekers and refugees from Somalia, the Sudan, Kenya, China, Zimbabwe, Kazakhstan, Sri Lanka, Nigeria, Iran and Syria highlighted the challenges of seeking asylum and refuge in Northern Ireland. The research participants have lived in Northern Ireland from a period of three months to ten years (with two having achieved naturalisation; full citizenship). Research was also conducted amongst service providers and the voluntary sector in Northern Ireland to identify the gaps in service provision to asylum seekers and refugees. Sahra and her children remained homeless for a number of weeks. In her winter of despair, she and her young children became vulnerable to the hazards of exploitation, but she eventually found a home through the support of the Northern Ireland Community of Refugees and Asylum Seekers (NICRAS). Many other asylum seekers and refugees are not so lucky, they remain homeless for many months, even years. Sahra told us, "a lot of refugees I know are on the street, a lot of depression here, a lot." The report defines integration as a two-way process beginning on the day of arrival. Integration is not solely the responsibility of asylum seekers and refugees, but is a process where all members of society must work together to make their society a more tolerant, accepting place. Asylum seekers are often excluded from integration strategies, with focus placed on people who achieve refugee status, but this report indicates the critical nature of considering integration from the point of arrival in Northern Ireland. The urgency of addressing the issue of destitution and housing conditions was one of the report’s main findings. While not unique to Northern Ireland and the UK, the growing commercialisation of the asylum system, which has seen private companies becoming responsible for areas like asylum housing, has been detrimental to conditions for asylum seekers and refugees. Other issues such as weak legal advice, no work rights for asylum seekers, inadequate mental health supports, the criminalisation of the asylum applicant, racism and hate crimes all combine to make the experience of seeking refuge in Northern Ireland a challenging one. But there is much that can be done to challenge such structures and this is where a refugee integration strategy that works collaboratively with asylum seekers and refugees is key to building a better, more inclusive society.